ICTURE THE SCENE: some guests are beginning to arrive at a reception. It’s a business event and many of the guests have never met. In walks a silhouette cutting artist. It isn’t obvious that he’s any different from the other guests, but this is a guest with a unique talent. He approaches a group and engages them in conversation. 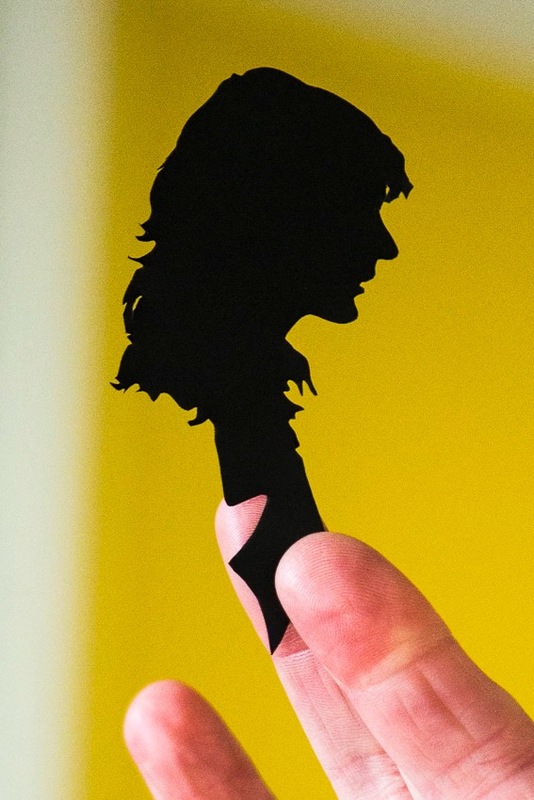 He produces a pair of scissors and – seemingly in seconds – cuts an astonishingly accurate portrait of one of them, holding it up to the light. Cries of amazement attract the attention of others, some of whom gather to see what’s going on. The silhouette, now mounted on a card, is passed around the room. Meanwhile, the silhouettist is moving on, repeating the process around the room. Each group greets him with initial surprise and reluctance, followed by delight and astonishment at the silhouette. After a while the whole room becomes aware that ‘something is up’. People begin searching for the artist, hoping they will be next. A number of small, black-paper profiles – mounted on neat folding cards – are being passed around the room. Each is compared to each person’s profile. More importantly, everybody gets to know each other in the process. The reception is beginning to look like a success. Using art as entertainment in this way is crucial to what we do. The Roving Artist aims to take art out of the studio and into your event. We will work with you to find the best way to present our wok, always keeping in mind that your priority is the success of your event. Working in front of an audience like this would be most artists’ idea of a nightmare. Artists tend to be nervous about their work, hating others to see work in progress. For us, it has become as natural as breathing. 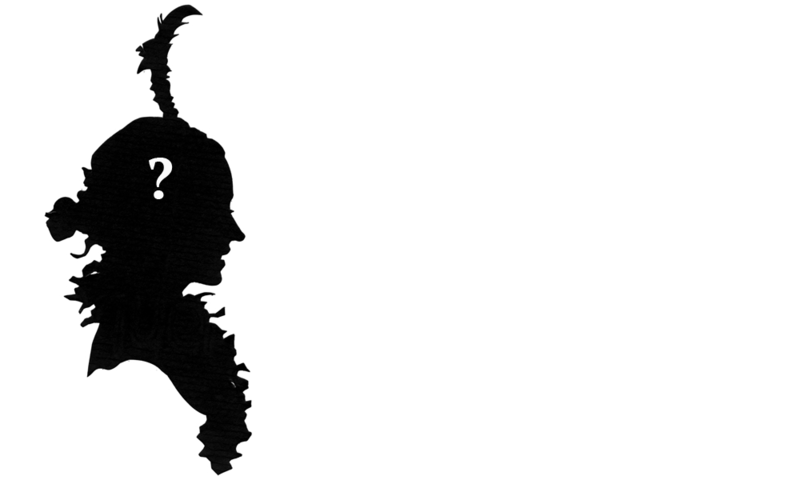 Silhouette artists Charles Burns and Michael Herbert have been working together as “The Roving Artist” for many years. 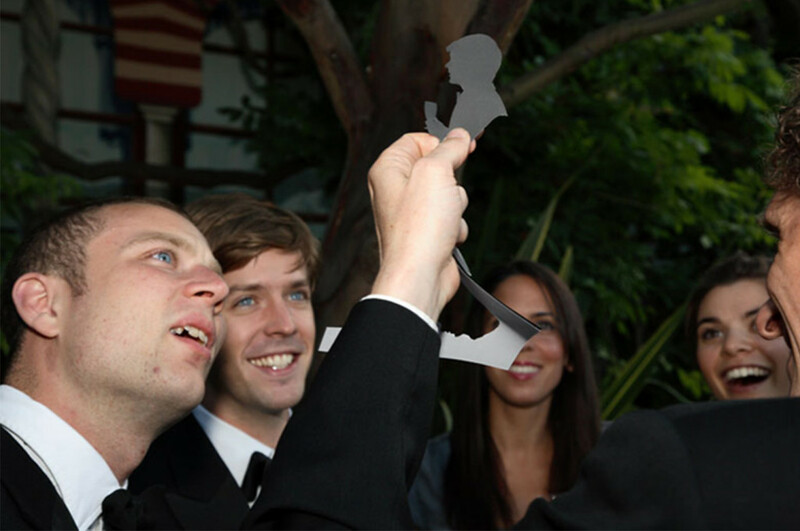 They were brought together by a shared interest in the little-known art of silhouette cutting. They have taken what is often perceived to be a lost art and re-invented it for the 21st century, combining the skills of a street artist with the presentation of a magician.